Monday, June 7, 2010 \AM\.\Mon\. One of my favorite historians is Edward Gibbon. I have made my way through his Decline and Fall of the Roman Empire several times. I find his style entertaining, his wit dry, and his scholarship, for his time, adequate. Unfortunately Gibbon was also an anti-Catholic bigot, in part a reaction to a brief conversion to the Faith as a teen-ager, which exposed him to considerable paternal displeasure. His bigotry is on full display whenever he treats of the Church, but usually he does not distort the facts. That was not the case in his account of the female philosopher Hypatia, and the fate she met in Egypt in 391 AD. That account, usually in distorted form, is a staple of anti-Catholic and atheist websites. Now Hypatia is the heroine of a Catholic bashing movie Agora. The English trailer of the movie is at the top of this post. David Hart has a superb post at First Things correcting Gibbon and the movie. Sunday, June 6, 2010 \PM\.\Sun\. The Hearst Corporation, which owns Hearst Newspapers, continues to stand behind their ‘news reporter’ the anti-Semite Helen Thomas despite video evidence of her anti-Semitic remarks. In her anti-Semitic remarks she called on Jews in the Middle-East to ‘get the hell out of Palestine’ and go back home to ‘Germany’ and ‘Poland’. Apparently forgetting that they have been inhabiting the Holy Land for several thousands of years. 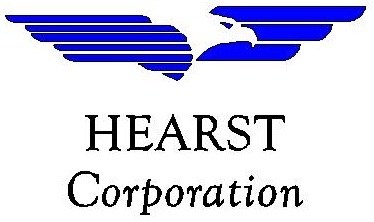 The Hearst Corporation, Helen Thomas’ employer, continues to stand behind her, but are saying her comments do not represent the values of the Hearst Corporation. Saturday, June 5, 2010 \PM\.\Sat\. 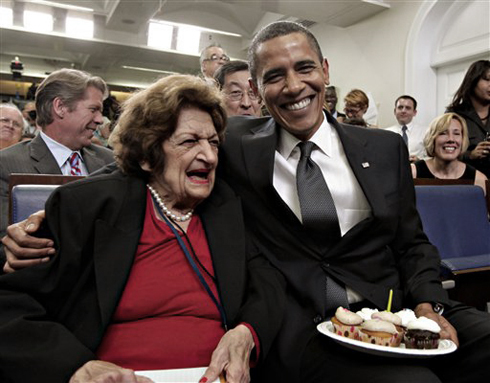 Helen Thomas, the Deaness of the Washington Press Corps, delivered the above charming sentiments at a Jewish Heritage Celebration at the White House on May 27. Thomas has been a left wing loon forever, and has always been hostile to Israel, but here she let the mask slip to reveal the bigot within. She later made a perfunctory apology for saying what she obviously believes with all her heart. Saturday, May 29, 2010 \AM\.\Sat\. Tavis Smiley claims that terrorist activities by Christians happens quite often in the United States. Not only does he make the claim that Christians do terrorism, but there are more terrorist acts done by Christians than by Muslims. Mr. Smiley expressed these thoughts on a program hosted by Ayaan Hirsi Ali on the Public Broadcasting System (PBS).